Australia is acknowledged as a world leader in innovative wine production technology and vineyard management. Great wine starts out as well tended fruit picked just at the right time. Tall Poppy's 400 acres (200 hectares) of vineyards are in the hands of Barry Avery and Brian Ferry. 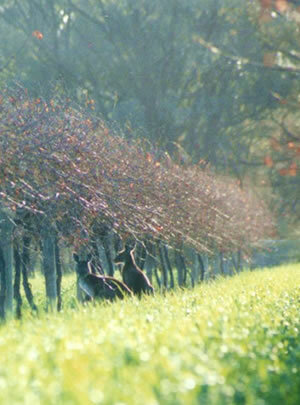 They bring three generations of experience and expertise to the nurturing of Tall Poppy vineyards.